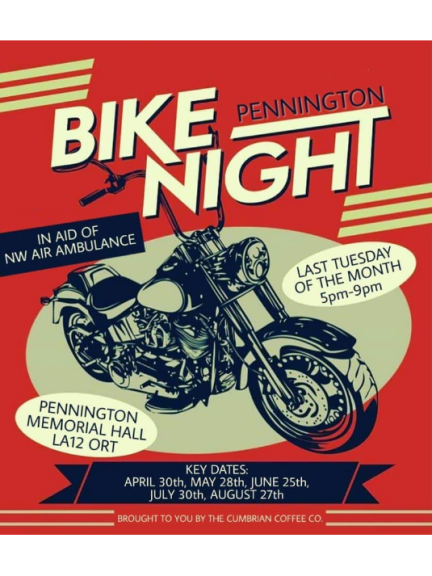 Calling all bikers - Pennington Bike Nights are held on the last Tuesday of every month. On site catering so no need to worry about having your tea after work you can get straight on your bike and enjoy our facilities. We hope you have a safe journey and we look forward to seeing you every last Tuesday evening in the coming months. For more details please phone 07917 728431.